The Alchemist's Workshop is located on the third floor of the Tower of Wisdom. 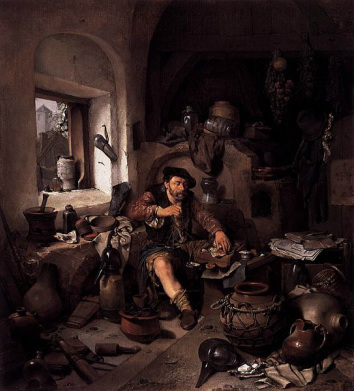 We must be quiet, for the alchemist is busy creating his Great Work. He is not just trying to change lead into gold. He is seeking the Philosopher's Stone, the Elixir of Life which is the secret of transformation of consciousness. He has given us permission to poke around and study his notes and manuscripts. Many of the secrets are hinted at through symbols and imagery. 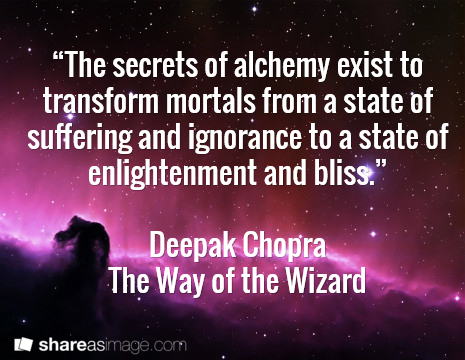 Our alchemist has had a vision that revealed a future world where sciences such as quantum physics would peel away the dogma of existing religions and discover what the mystics have tried to tell us throughout history: we are all connected. “This is why alchemy exists," the boy said. "So that everyone will search for his treasure, find it, and then want to be better than he was in his former life. Lead will play its role until the world has no further need for lead; and then lead will have to turn itself into gold. 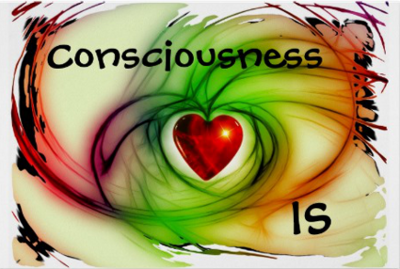 Consciousness Is my Facebook Page where we can discuss and ponder the mystery of consciousness. What is it? What does science say about it? What do the mystics reveal about it? I am Diane Wallace, aka grannysage at on-line sites. Studying consciousness has been my focus for some time and I created this page to share things I discover in my wanderings. 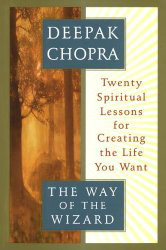 This is one of my favorite little books by Deepak Chopra. Every time I read it I find something new or I understand it a little deeper.